Leonard Nimoy, best known as Spock, died at 83. Nimoy, born in Boston, Massachusetts, on March 26, 1931, was pronounced dead in his Los Angeles home on Feb. 27. Chronic obstructive pulmonary disease, caused by his smoking, was the cause of his death. It is a shame that Nimoy didn’t quit smoking soon enough. Not only was Nimoy an American actor but also a film director, poet, singer-songwriter, and photographer. Nimoy started his career when he was eight years old when he acted in a play and continued acting throughout his high school years. He made his official debut in 1951 at 20 years old, with a minor part in “Queen For a Day”, leading to another part in “Rhubarb” as a baseball player. What led him to “Star Trek” was his part in “Zombies of the Stratosphere” as Narab. “Star Trek,” which premiered on NBC on Sept. 8, 1966 made Nimoy the star he is today, but, unfortunately was cut after three seasons due to low ratings. In 2009, Star Trek was revived with a whole new cast fortunately Nimoy got to make an appearance as an older version of Spock, which later led to him appearing in “Star Trek: Into Darkness” as Spock Prime in 2013. 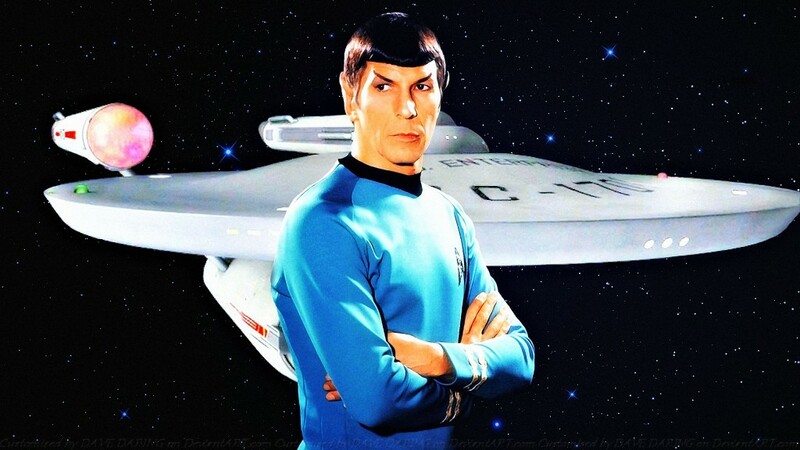 His two autobiographies “I Am Not Spock”, published in 1975 and “I Am Spock”, published in 1995, described to us how Nimoy felt a connection with Spock. In between acting and publishing, Nimoy was teaching method acting at his own studio. “Star Trek”, one of television’s most successful series, won Nimoy three Emmy nominations and helped launch his career as a director and a writer. “William Shatner and Leonard Nimoy acted well together because they balanced each other out throughout the series. I enjoyed watching Leonard Nimoy act because to me he understood the role he was suppose to play,” said student Cameron Khoury. “Leonard portrayed his character very well even in the most recent “Star Trek” film. I can’t picture anyone else playing Mr. Spock,” continued Khoury. Nimoy will never be forgotten and will forever live long and prosper in our hearts as Spock.